I loved this book. 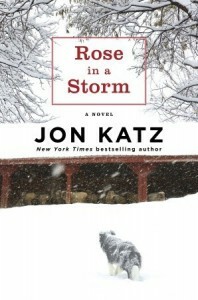 Katz has written in such a unique way, the perspective of Rose with imagination yet without being overly sentimental. It was a very thoughtful, believable insight on the possible way a working dog would think. Although it may be a relief to some of Katz's fans that Rose does not die in the end (thank you very much), it is not to say death is not a presence in the novel. When a storm unlike any in recent memory descends on the farm, Rose's instincts of just what needs to be done to protect those in her charge is spot on. Her unfailing determination is the difference between life and death for not only the farm animals but for Sam himself as he and Rose work together to keep the storm's devastation at bay. I could not put this book down and am very thankful I had the opportunity to read this as an early reviewer.